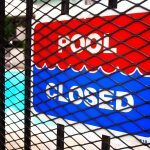 Home » Blog » Where did my chlorine go? 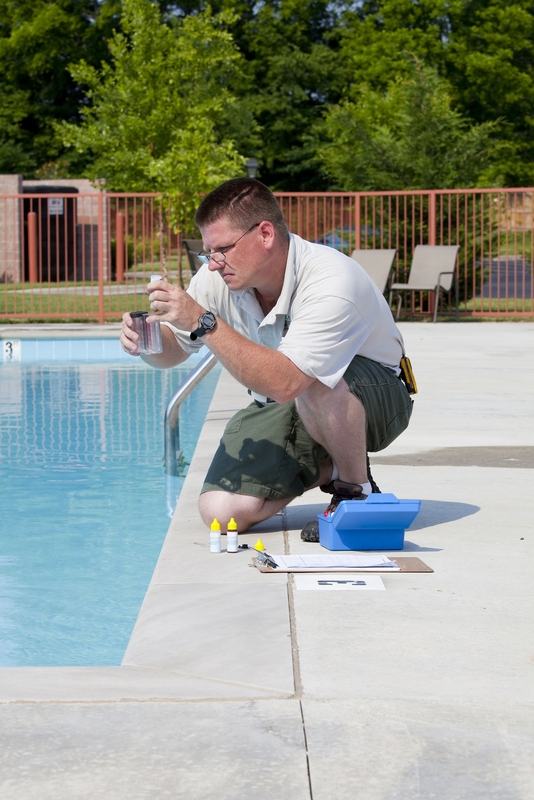 Having a hard time maintaining your chlorine level? You know that you added it to the pool, but you just can’t seem to get a reading. There are a lot of culprits in the environment that can be depleting your chlorine levels in your pool. When it rains a lot, pool owners tend to drain some of the water. When you do that, it is going to affect your water chemistry. Adding fresh water is going to dilute your water chemistry and justly lower your chlorine levels. With a pool on a salt system, this will also lower the salt content. This tricks people into thinking that their salt system is not producing chlorine. Phosphates and nitrates in pool water contribute can also attribute to no chlorine and to algae growth. They can get into your pool through the landscaping around your yard and even from your fill water. Their presence in your pool can increase algae growth, as algae feeds off phosphates. If you are having a problem maintaining your chlorine level, it can be a sign there may be a phosphate issue. Ask to have your water tested for phosphates, as this is not one of the more common water tests being performed on a weekly basis or at pool stores. Do you have sunscreen for your pool? No, we are not talking about Coppertone (in fact, bathers should shower before entering the pool), we mean stabilizer. Cyanuric acid is a sunscreen for your pool to UV rays from depleting your chlorine levels. This will help to keep your levels in range. The stabilizer is built into the tri-chlor tablets you may be using. If you are using an unstabilized sanitizer, it will need to be added separately. And indoor pools, remember, you should not be using stabilizer as it will raise your TDS levels and contribute to cloudy water. And what about combined chlorine? Sounds like the more the merrier, but this is not the case. Combined chlorine is what develops when your chlorine becomes lazy and ineffective. The chlorine ion combines with the nitrates, sulfates and bather wastes in the pool and does not have the ability to sanitize, When this happens, breakpoint superchlorination needs to be performed. This will break the bond between the chlorine and the nitrates, sulfates and bather wastes and allow them to be oxidized. This leaves the chlorine available to freely do its job. 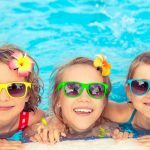 Understanding the different elements that contribute to your water chemistry and the culprits that can affect it is key to a happy, healthy pool. There is more to water balance then just dumping the chlorine in the pool. If you want to learn more about what’s in your pool, give us a call today!